75 degree ladder angles happen in books, some training towers and if you happen to be throwing a ladder to a brick wall. It is a great goal to shoot for but it is very rarely a reality when you are laddering real buildings. Extension ladders give you a little more room for error because you can adjust to your obstacle, straight ladders leave you very little choice. When we ladder a building we ladder below the sill of the window, it is the most versatile place to set a ladder. With that said depending on window height, landscaping, grade, overhangs, vehicles, fences, AC units, and a long list of other problems, you can count on having angles that are less than desirable. It is important to understand the limitations of each size ladder you carry on the rig. How far can you have an unfooted ladder kicked out on concrete v.s. asphalt v.s. grass and still be able to work on the end of it? The nature of most building heights along with the 14’s and 16’s being the most common straight ladders carried, will almost certainly put you in a position that you will be working on ladders that are very shallow compared to your text book climbing angles. It is the nature of our job and really is not a big deal if you practice. 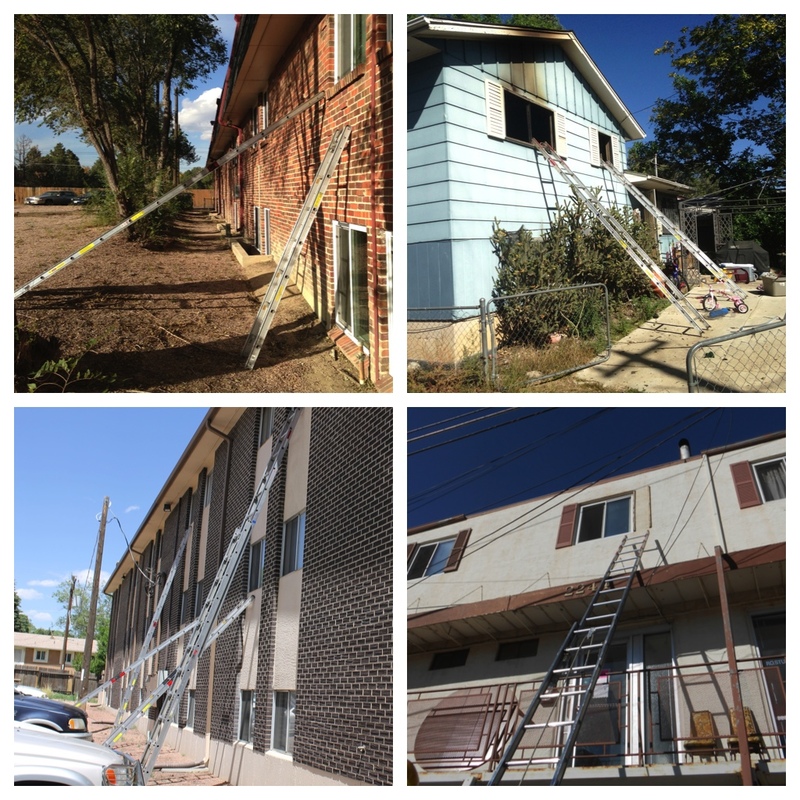 Try your ladders at different buildings and on different surfaces. Know the limitations of your climbing angles, it saves you from having to guess when it is time to go to work. This is a simple way to up your ladder work skill. Brick walls and training towers are where the very basics are taught, it takes real window heights and realistic obstructions to really learn practical fire ground ladder work. This entry was posted on 06/24/2014 at 11:58 am and is filed under 5. Ladder Work. You can subscribe via RSS 2.0 feed to this post's comments.